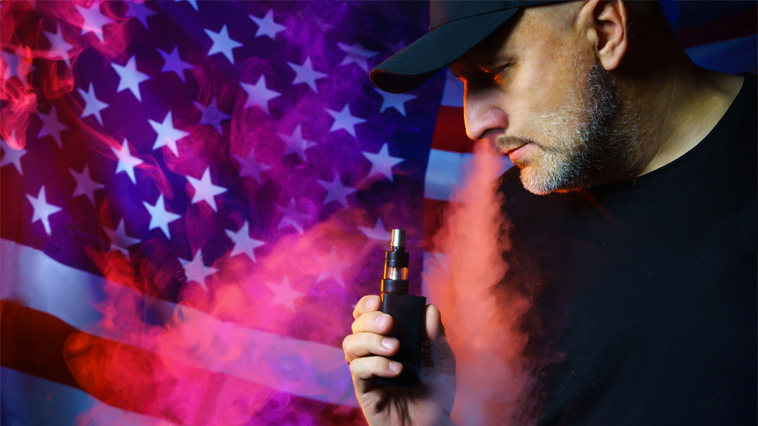 U.S. smoking and vaping numbers decline into uncharted realms, shocking researchers and pundits alike in new study results. Released as part of the 2017 National Health Interview Survey (NHIS), the Centers for Disease Control and Prevention (CDC) indicated the U.S. smoking rate for the first nine months of last year tumbled to a record level of 14.1 percent. The rage is 1.7 percent lower from 2016, according to Tobacco Truth. The NHIS supplies data to the CDC, enabling the association to develop estimations on national smoking rates. In the NHIS report, it suggested 6.9 million Americans vaped in 2017. That’s about a million shy of the previous year. The numbers show the trend. In 2015, 3.4 percent vaped and, in 2014, 3.7 percent vaped. Why are these figures so shocking? The common misconception, possibly via false propaganda on potential health hazards and a series of government-related bans, is vaping numbers are skyrocketing. Acting in response to the anti-vaping reports, Attila Danko, an Austrailian medical doctor, remains committed to correcting many of the industry’s medical misconceptions. He does not prescribe to the notion that vaping is a “gateway” to developing a smoking habit. “If it was true that e-cigarettes were a massive gateway to children becoming addicted, I wouldn’t be on the side of legalizing it,” Danko was quoted as saying. The NHIS also believed young adult smoking is declining. The truth, at times, can be shocking. Want to keep up with the latest vaping scientific studies? Check out our News section! Next articleYou Gotta Chill: Is Refrigerating E-Juice a Waste of Time?